> The CANCERactive 3D approach to Cancer Prevention. CLICK HERE to go straight to our list of UK Cancer Support Groups. Cancer support 1: At CANCERactive we aim to empower you, by providing all the first class, evidenced-based research information you could want, on Complementary, Alternative and orthodox therapies, plus the causes that still might be maintaining your cancer. Cancer support 2: Then there is our Active8 Programme, designed to help you build your own Integrated Therapy Programme around your Doctor’s orthodox treatments. Big US Hospitals like the M.D. Anderson Cancer Center in Texas believe Integrated Therapy Programmes are the modern way forward for cancer patients, and cancer survivors. 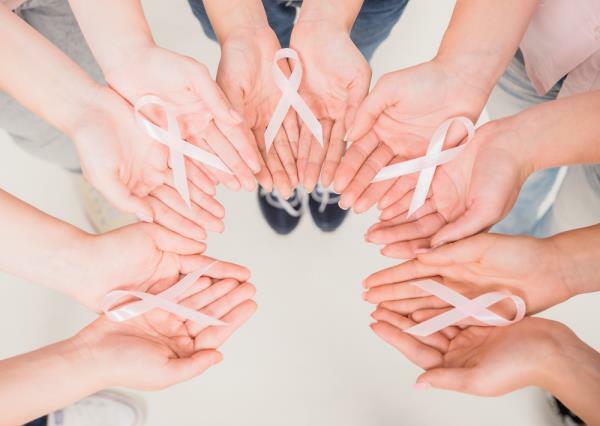 Cancer support 3: And now there is the CANCERactive Support Groups Directory, where we have assembled a list of cancer support groups around the UK. Having cancer need not be a lonely experience. Support Groups are made up of people just like you; cancer patients or people who have had cancer and are happy to share their opinions and advice with you; like-minded people who really understand exactly what you are going through right now. Some of these Support Groups are Professionally run by a qualified therapist attached to a Hospital Cancer Centre, while the majority are just small groups of individuals, who want to help others get through these difficult times. We have provided contact details on each. We did not want to show any bias between groups and wanted to treat them all equally. Just click here for the County/City nearest to your location, and our system will take you to the information supplied by the nearby support groups. (ii) If your support group is not covered in our list - WHAT ARE YOU WAITING FOR???? Just click here to download a form and fill it in and get it straight back to us. You can always ring Wendy on 0151 345 0676 for details or help. On October 24th 2013 we launched the ultimate worldwide support group, run exclusively by cancer patients, for cancer patients. Every support group in the UK should join. Every cancer patient too. Cancer Support 4: This is your very own worldwide support group, where you can tell your story, start a blog, ask any question, and/or get in touch with someone who has been through all the same experiences you now face - anywhere in the world. We noticed that other cancer chat rooms in the UK actually limit the subjects you can talk about. We were horrified (when trying to answer patients’ questions about diet and complementary therapies) to receive an e mail from Cancer Chat - Cancer Research UK, telling us there were certain subjects we were not allowed to discuss! So we launched the CANCERactive Patient Group, with no vested interests and only the cancer patient’s needs at heart. Click HERE to go straight to this exciting cancer chat room, where you are completely free to discuss any cancer topic from drugs to alternative cancer therapies. You can even write your own blog, or tell others your very own story - good or bad! Your cancer chat room, run by people like you, for people like you. If you are thinking of buying anything from Amazon, buy it through Amazon Smile, select Cancer Active as your charity and you will be supporting us at no extra cost. "At last the definitive book on a diet to fight cancer". Mrs BS Devon. Oestrogen - The Killer In Our Midst" 3rd Edition by Chris Woollams. "Learn how to take control of your oestrogen levels"
A real paradigm shift - this book will help you really understand exactly what to do to be in great health. © Copyright 2019 CANCERactive. All Rights Reserved. This content may be copied in full, with copyright, contact, creation and information intact, without specific permission, when used only in a not-for-profit format and provided, where used to publish on a website, that website provides a link to www.canceractive.com. If any other use is desired, permission in writing from CANCERactive is required. Join Our Newsletter Signup today for free and be the first to get notified on new updates.